The best part about CranioSacral Therapy (or CST) is it will uncover the connections, or the corresponding areas where your complaint is. For instance let's say you slipped and fell, landing on your right elbow. The fluid rhythms will show me the area with the most hurt going on (the elbow area) but it will also tell me how far into the shoulder it goes, the angle it takes, whether or not it goes up into your jaw, down into your left hip, or any other place a bendible, moving body could have experienced a pull or strain. The place that took the hit will not be the only place that's affected. And your body will heal more completely when all these places are released and delivered back to their normal state. The second best part about CST is its ability to effortlessly deal with unwanted, chaotic and interfering energies. They come from your feelings, thoughts and memories. Riding on your tight shoulders may be the small tiff you had with your daughter's teacher. Or the hurt from a snarky comment made by a co-worker. Large or small, it's amazing what often comes up. The beautiful thing is these things float up, are discussed, and they drift away. Sometimes you might suddenly tell me about a memory - seemingly unrelated to the reason you've come to see me - or I might "see" it and ask you about it. Either way, it rises up out of the memory locker in your body and leaves. It stops being a problem. And once it stops beaming out it's interference into your body, guess what? You feel a whole lot lighter and better! CranioSacral Therapy sessions are best with a 90 minute session, as this seems to be the length of time a person needs to move and clear things. I find that with a 60 minute treatment, often-times people are just really getting into their healing work and I hate stopping with things left unfinished. 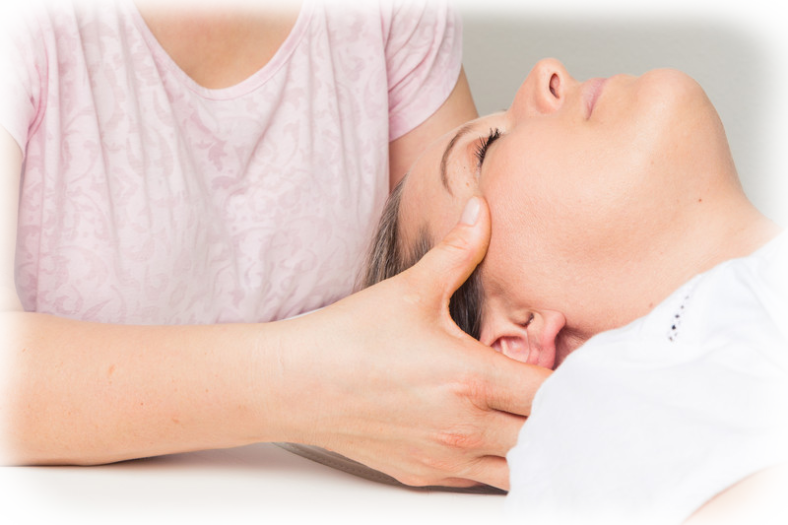 CranioSacral Therapy, as taught by the Upldeger Institute, follows the flows and rhythms of fluid surrounding all your tissues to gain information about what's going on with your body. Then, by using a light touch, this fluid is gently manipulated to ease out restrictions and pain. Once the rhythms are re-established you'll be stronger, more balanced, and the painful issue will be either diminished or finished. To say I felt amazing after would be a huge understatement. I returned to work feeling like a new person. I haven’t had any issues at all. Your treatment helped me turn a page, so to speak, with my headspace and physical being. I have slept better and the headache hasn’t returned. I’m trying to be mindful of time for me to de-stress and give myself much needed self-care. I can’t thank you enough!! !